Sometime’s I become so preoccupied with exploring the world that I forget about all the beautiful English Countryside getaway locations right on my doorstep. The English countryside is often, sadly, overlooked. Visitors from abroad flock to London, stay a few days before moving onto the rest of Europe. But they are missing the best bit! Whilst England is famed for its pretty countryside with rolling hills, forests and rivers, the charming villages themselves are well worth a visit. There is so much history in England and old buildings, castles and churches galore to reflect this. Ok, full disclosure; I am English though living in Wales so I may be a tad biased when I tell you the English are the most friendly people worldwide. I’m sure there are some facts out there somewhere to back me up..?! My favourite thing about an English countryside getaway is the multitude of cafes for afternoon tea, the beautiful walks and spending evenings in a cosy old pub, warming myself by a roaring fire and tucking into some hearty pub food. 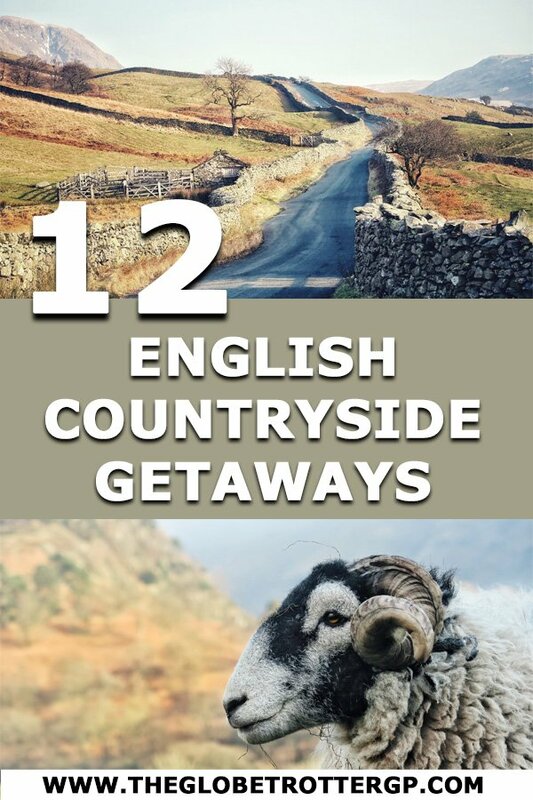 So if I’ve convinced you to explore beyond London next time, here are 12 beautiful English Countryside getaways suggested by travel bloggers to inspire your trip to rural England! Well, you could argue that this is a Welsh countryside getaway as in truth, Monmouth borders both England and Wales. It’s the town where I grew up and recently I heard it was Britains happiest town according to Capitol radio! It’s no wonder why really. Monmouth is one of those places where community spirit is really strong. There’s always so much going on whether that be a free music festival or a country fair. The pubs are always bustling and lively and there are plenty of cafes for a cream tea or two. 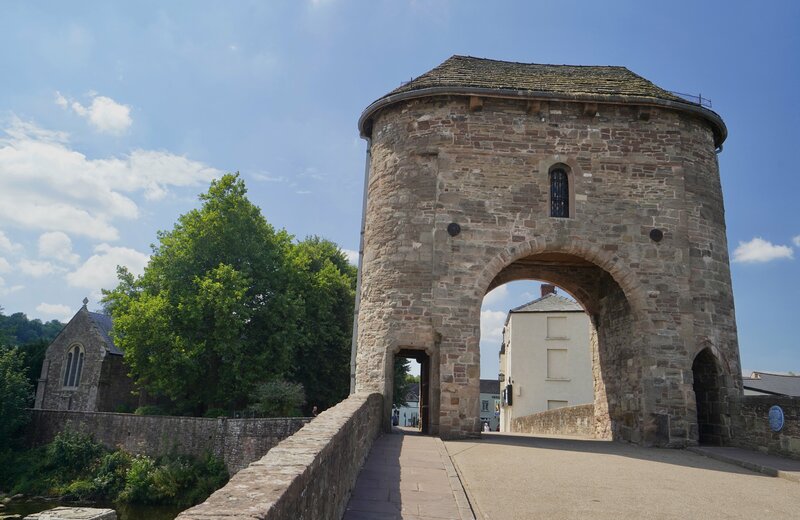 Monmouth is also home to the only remaining fortified medieval bridge in the UK making it a popular place for history buffs to visit. 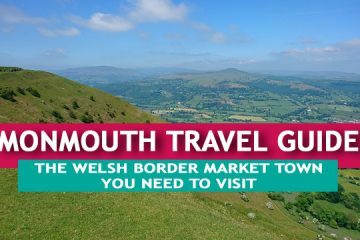 Read more about Monmouth in my Monmouth Visitors Guide. 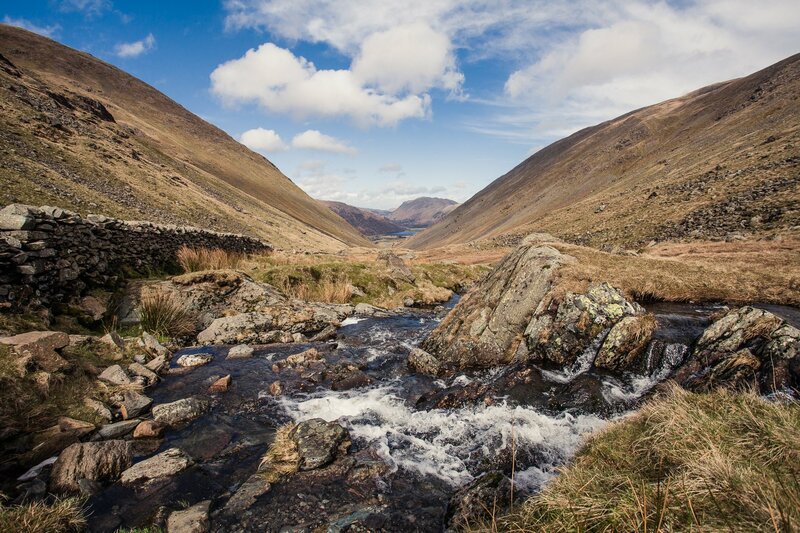 The Lake District is a popular getaway in the far north of England only a 1.5-hour drive from Manchester. Visitors from near and far come to this picturesque national park for the dramatic scenery of rolling hills and meandering lakes, the quaint small towns filled with history and sweet cakes and the plentiful outdoor activities. The area around Windermere is an ideal home base for a long weekend in the national park. I loved staying at Beech Hill Hotel & Spa, because of the spa facilities with lake view! The facilities in town are comfortably close, but the next scenic viewpoint or lonely shore of a lake is never far away either. The nearby town of Grasmere is a picturesque village, world-famous for the small Grasmere Gingerbread shop. A little further you can visit Keswick, the main hub of the northern Lake District. 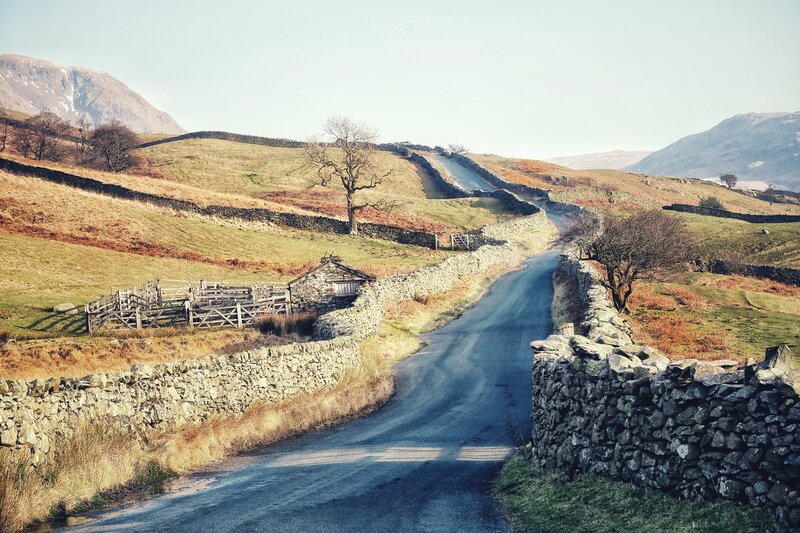 A particularly beautiful road trip leads via Kirkstone Pass to Ullswater – the views here are magnificent! A trip to the Lake District would not be complete without a little hike in the beautiful hills – we hiked Loughrigg Fell near Grasmere because the weather was very unpredictable, but longer hikes like the trail to the Old Man of Coniston or the Catbells near Keswick are arguably even more scenic! Exmoor is located on the border of Somerset and Devon and is one of the smaller National Parks in England. It is a beautiful area to explore with deep wooded valleys, streams and high moorland. It was used as the inspiration for the Lorna Doone book by RD Blackmoore and still has a romantic wilderness feel. Exmoor reaches the coast with the seaside town of Minehead being on the boundary of the national park, perfect for a beach walk or supplies before heading away from the town. One of our favourite places is Tarr Steps. An ancient clapper bridge with beautiful walks and wild swimming in the river during the summer months. Nearby is Liscombe Farm with gorgeous dairy ice cream from the cows that you see grazing near the river. Exmoor is also known for its deer rut. High on the moorland in the autumn months, the stags collect their hinds and congregate showing great displays of their strength, fighting other stags and generally being aggressive and loud. Staying on Exmoor is really special as it has Dark Skies status and the stars really do shine on the moors at night. We love the Dunkery Beacon Hotel, indulgence but worth every penny. 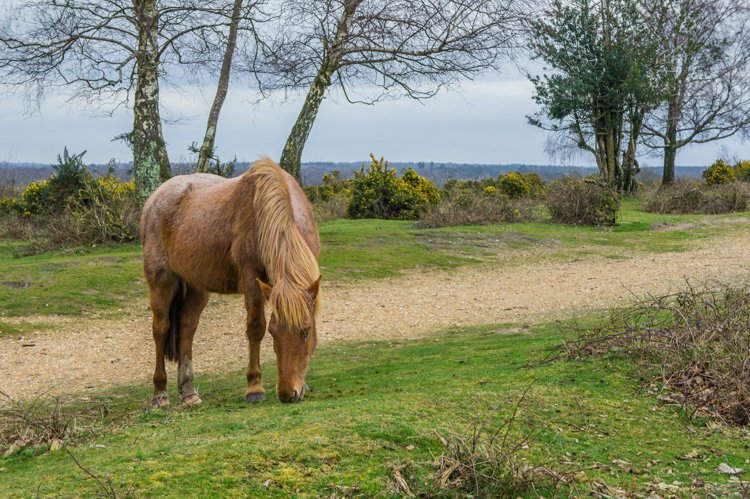 The New Forest is a favourite UK holiday destination with plenty of nature, museums, pubs and wonderful towns & villages. You can reach The New Forest in just 90 minutes by train from London. From the town of Lyndhurst, you can do a circular hiking trail that takes you via the meadows through a denser area of the forest, then to the South and back via Clayhill to Lyndhurst. You’ll see plenty of wild ponies along the way! 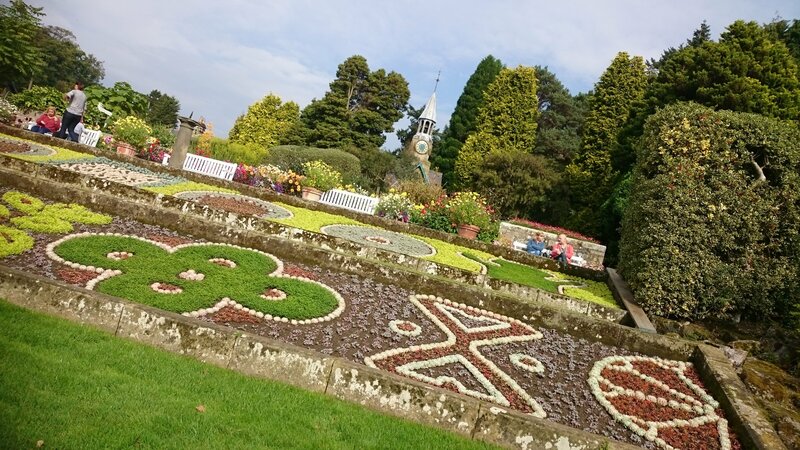 Lyndhurst is also the town where Alice Hargraves (Liddell) lived, a lady who became the inspiration for the main character from the famous book “Alice in Wonderland”. Other nearby places worth visiting are Lymington (where you can explore the marina, the wildlife conservation areas and the typical landscape of the salt planes), the Isle of Wight (a great place for wildlife spotting and other outdoor activities) and the Jurassic Coast (with dramatic cliffs and steep green hills). To save money on your accommodation, we recommend checking out the local Airbnb options. We stayed in a small town called Bransgore, which proved to be a perfect base from to explore the different parts of this region. 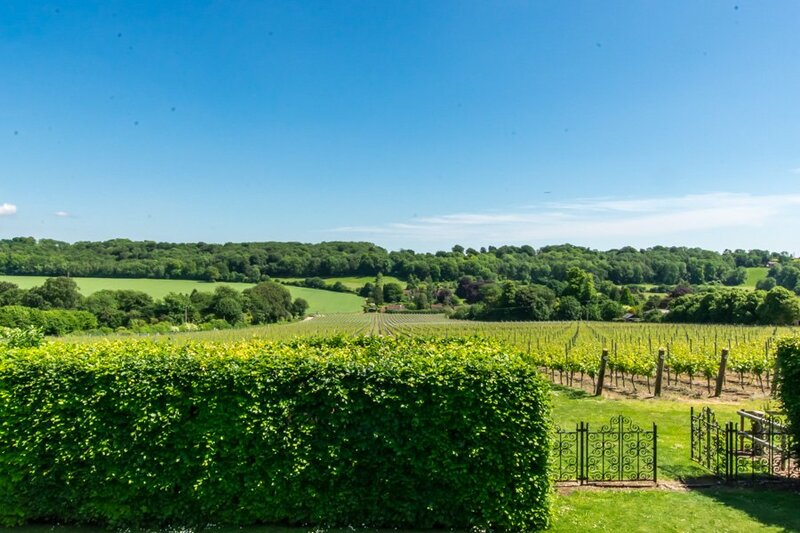 With its stunning vineyard and charming village pub, there’s no better place for a weekend away than Hambledon. Located in Hampshire, this town is often referred to as “the cradle of cricket”, since it is where the modern cricket rules were first played (head to the Bat & Ball pub if you’re a cricket fan!). 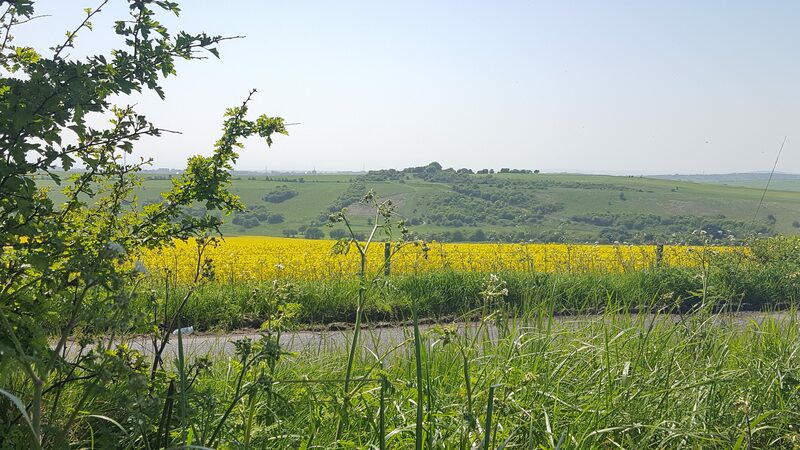 Hambledon is located in South Downs National Park and therefore offers stunning countryside walks, through the vineyard and cabbage fields, or even up Butser Hill. It’s also a Dark Sky zone, meaning you’ll be treated to the most wonderful view of the stars at night. If you want to truly experience the English countryside, there is no better place to stay than Wriggly Tin Shepherds Huts. Wriggly Tin offers glamping in its finest form and is just a ten-minute walk from Hambledon Vineyard. At the vineyard, it’s possible to do a tour and taste their award-winning sparkling wine. If you’re looking to explore more of the area, Winchester is an easy day trip, as is Arundel Castle. Or, for walking/cycling trips, you have the whole of South Downs National Park at your disposal! This summer, we spent four days in the Yorkshire Dales for our first English countryside getaway. We based ourselves in Wensleydale for our Yorkshire Dales holiday. 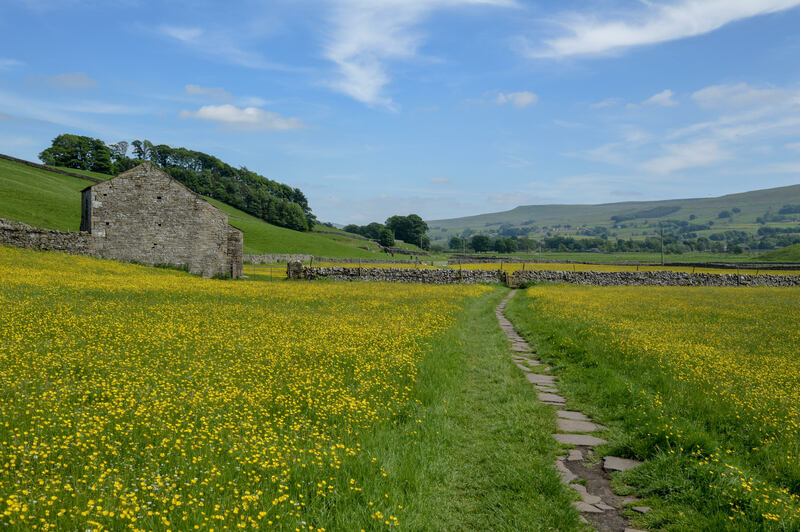 If you like walking, Wensleydale is a great place to visit in the English countryside. 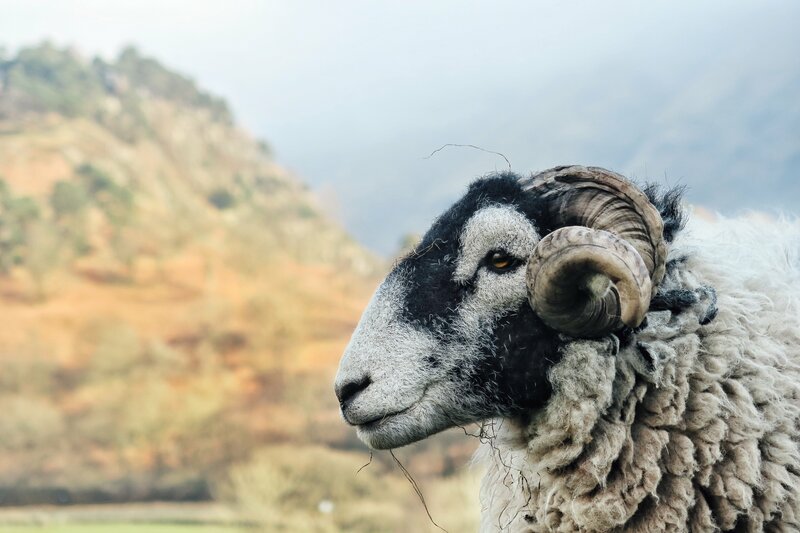 You’ll be treated to rolling green hills, picturesque stone fences, and of course tons of sheep. And it’s a great place for people of all abilities as there are many different walks of varying difficulty levels. There are also castles! We particularly enjoyed our visit to Bolton Castle, which is quite well preserved and has beautiful grounds to explore. It would also make for a good family outing (we saw a lot of kids enjoying themselves). We based ourselves in two towns, Hawes and Masham, for their locations and for their local culinary delights. Hawes is home to Wensleydale Creamery which makes truly delicious cheese. And Masham has not one but two local breweries: Theakston Brewery and Black Sheep Brewery. In Hawes, we stayed at Spring Bank House, a traditional B&B, and in Masham, we stayed at The Bay Horse, a traditional pub. Both served tasty and hearty breakfasts and had friendly and helpful owners. We would highly recommend both if you’re looking for places to stay in Wensleydale. 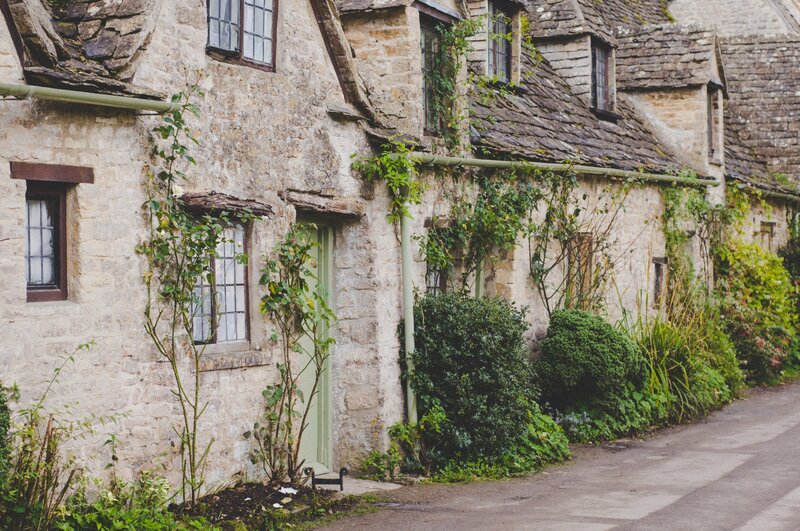 If you’re looking for some beautiful English countryside getaways, the village of Lacock definitely needs to be on your list. 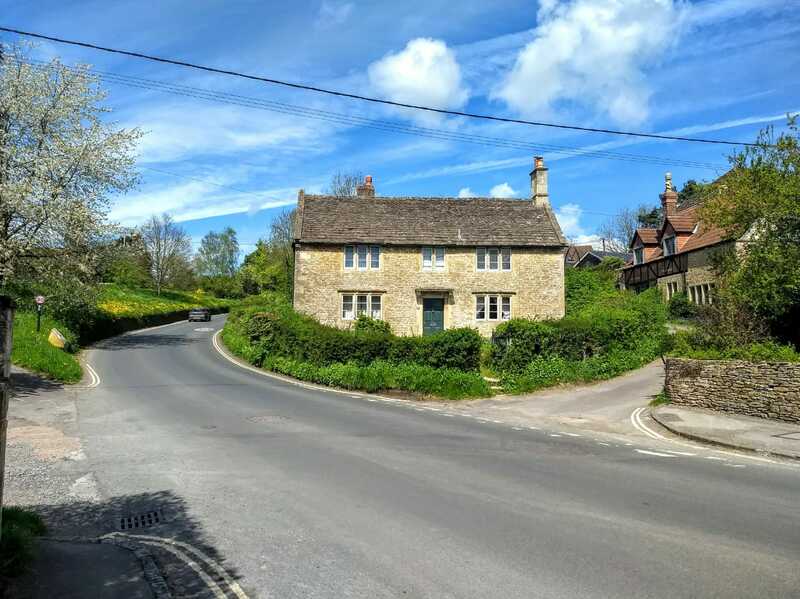 Located in the English county of Wiltshire (around 30 minutes from the city of Bath by car), this little village will transport you back in time, to almost 200 years ago. It’s maintained entirely by the National Trust. And mind you, it’s not a museum. It’s very much a functioning village. Take a stroll down its many alleys and admire the cute traditional cottages in the village. There’s also an old tithe barn, church, and workhouse. Here you can see the honour system still in use. Residents lay out their homemade jams, marmalades, buns, and scones outside their homes – unguarded and unsupervised. You’re expected to take what you want and leave the payment right there. If you feel hungry, stop for a bite at one of its cute little bakeries or cafes. Also, don’t forget to check out the Fox Talbot Museum and the Lacock Abbey (especially if you’re a Harry Potter fan). The village has also been a filming location for many popular movies and TV shows including Harry Potter, Downton Abbey, and BBC’s Pride and Prejudice. Lacock can easily be covered on a day trip from London. You might even want to combine it with a visit to Bath and Stonehenge like we did. Northumberland, the northernmost county in England, is jam-packed full of beautiful countryside and activities. During a recent long weekend visit, we packed in lots of great day trips. Bamburg Beach was a highlight for us. With long, open stretches of sand, it is overlooked by the impressive Bamburgh Castle. It can be busy in the height of the summer, so arrive early if you want to enjoy some tranquillity. The Holy Island of Lindisfarne is another not-to-be-missed destination. Check the clearly marked tide times though for a safe crossing. While away the hours exploring the traditional village and ruins on the Island. it is also an ornithologists dream! Moving inland we also enjoyed a visit to the Cragside Estate, although be prepared for a pricey admission fee. Dogs are allowed on lead and there are lots of beautiful woodland walks and manicured gardens to appreciate. The large Rock Garden is particularly impressive. We stayed in a cosy Airbnb cottage on a working farm on the Northumberland border near the Village of Hamsterley Mill. It was a little worn around the edges but well equipped and comfortable and we had a view of the stabled horses from our window. Picture proper English countryside and there’s a good chance you think of bright yellow flowering fields, rolling green hills and winding tracks. That’s the South Downs. This enormous Sussex and Hampshire national park is a prime picnicking spot, with great cycling and walking – and all just 20 minutes from the bustle of Brighton and Hove. Come for the next eclipse or to stargaze (it’s a Dark Sky Park) or pop over on a sunny day to soak up the country air and get away from it all. Spotting wildlife will have you keen to stay and there’s a cracking pub, The Devils Dyke, where you can refuel with good food and drink. For day trips, you shouldn’t miss exploring colourful spots on the South Coast like Brighton, Eastbourne and Worthing, which will also offer great hotels. The Courtlands Hotel in Hove is a great option for those looking to splash out, while The Brighton Breeze Hotel is somewhere budget that I have stayed and can recommend. Got more time? Petworth House, Arundel and Goodwood (famous for the Goodwood Revival) are also close by. Getaway to the little known Teesdale – part of the North Pennines Area of Outstanding Natural Beauty. The River Tees flows down through the dale, providing stunning waterfalls at Cauldron Snout, High Force and Low Force, with spectacular and easy walks along her banks. The gateway to this glorious dale is the market town of Barnard Castle, named after the castle of the same name which was built in the 12th century. Famous visitors to the town have included author Charles Dickens and landscape painter JMW Turner. Here you’ll find great places to stay, including the friendly and welcoming 17th century Old Well Inn, which backs onto the castle walls. There are other fabulous cosy pubs and the magnificent Bowes Museum which boasts links to the Queen Mother. 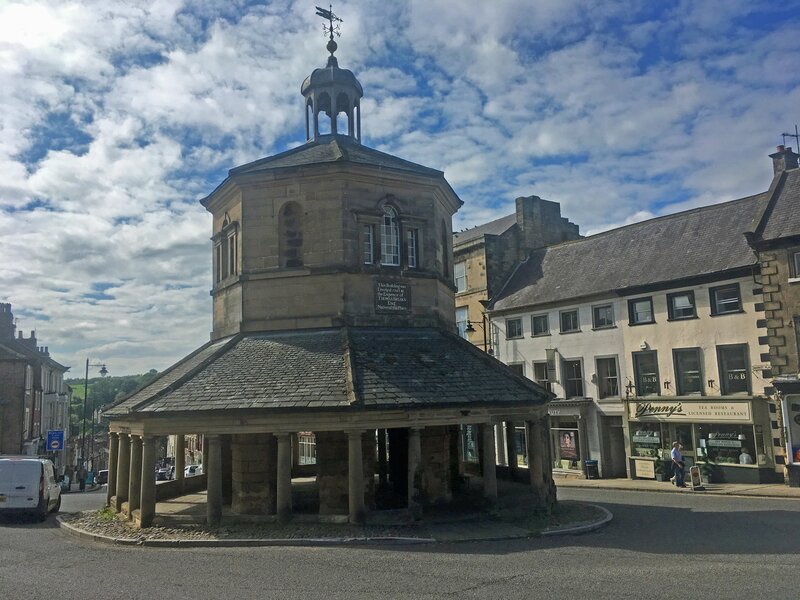 Explore the famous Butter Market or Market Cross, now serving as a beleaguered traffic island, but which was once the town jail! There are great walks – a short 6km round trip takes you between the two main waterfalls further up the dale from Low Force to High Force and back. This is a stunning area of England in which to take a break, no matter what the time of year! The Cotswolds is full of fantastic countryside; think thatched, honey coloured cottages nestling in the hollows of gently rolling hills, perfect for country walks. 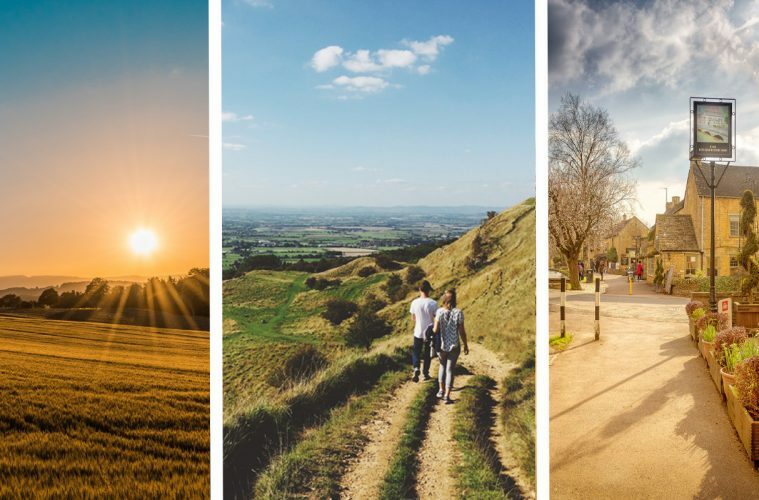 There’s something for everyone in the Cotswolds. The most famous villages are Castle Combe, Bibury and Bourton on the Water, which are usually voted among the prettiest villages in the UK. The Cotswold Way runs for 100 miles along the top of the hills linking Chipping Campden in the north of the region to Bath in the south. Any section of this walk gives fantastic views and access to quaint towns. Broadway Tower is a highlight along the route. You can also discover a wealth of history in the region. Sudeley Castle is a former royal palace and lies half in ruins, half still lived-in stately home. Blenheim Palace is on the edge of the Cotswolds and is one of the most fantastic buildings in the UK. Cogges Manor Farm is a historic farm which was used in the filming of Downton Abbey. 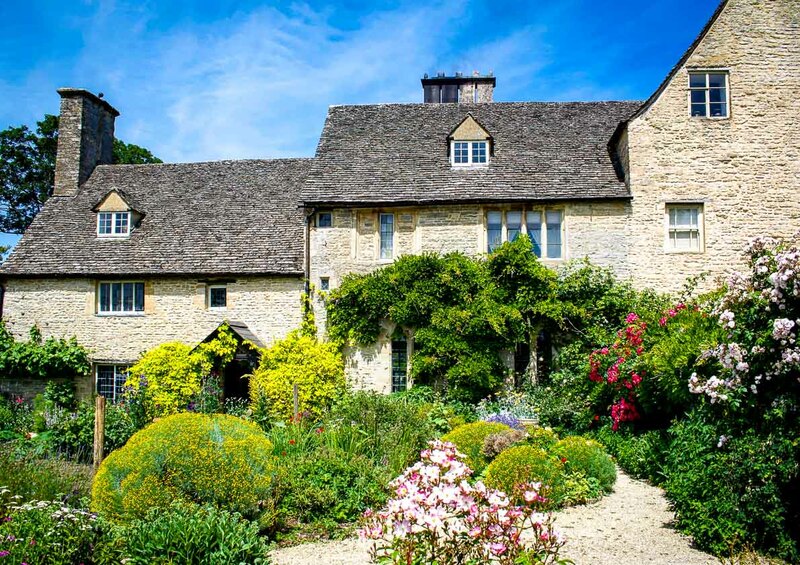 There are numerous places to stay in the Cotswolds, although choosing a central location such as Barnsley House near Cirencester will allow you to get to both the north and south of the Cotswolds in less than an hour. The Cotswolds are only a couple of hours away from London, making the region a perfect weekend getaway. Just about an hour outside of Manchester lies the Peak District, a landscape like no other in Britain. 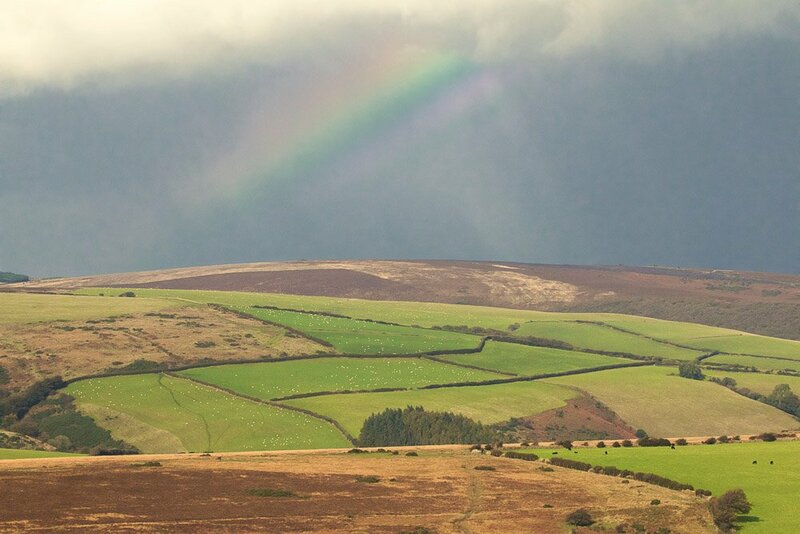 You will find rolling hills, moorland plateaus, and steep-sided deep dales. When you pair the amazing landscape with quaint villages housing amazing places to eat and drink, market towns, and historic houses, you are bound to have a vacation like no other. 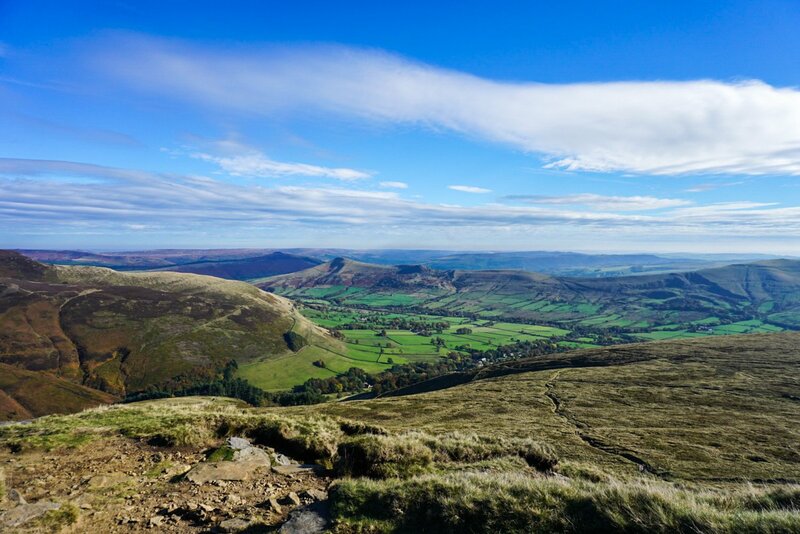 Many people visiting the Peak District enjoy going out for a day hike that ends with a proper meal and ale at one of the many historic pubs you will find along the way. Besides just hiking, you can go spelunking in a cavern, cycle the windy roads or even take a cable car up the famous Heights of Abraham. If you don’t quite fancy the outdoor activities, there are plenty of villages to stop over and shop till you drop. There are also plenty of charming bed and breakfasts to choose from if you would like to stay the night. While we were visiting we found a quaint little Airbnb to stay at where we were able to cook a full English fry up in the morning! With everything the Peak District has to offer, it is definitely a must for anyone looking to visit a charming English countryside! 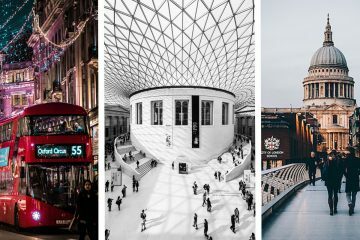 80 things to do in England. 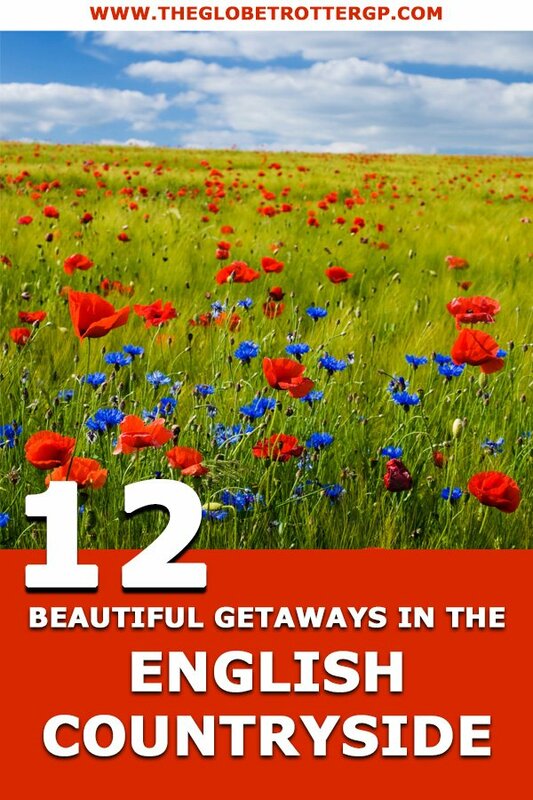 So which English countryside getaway is appealing to you most? 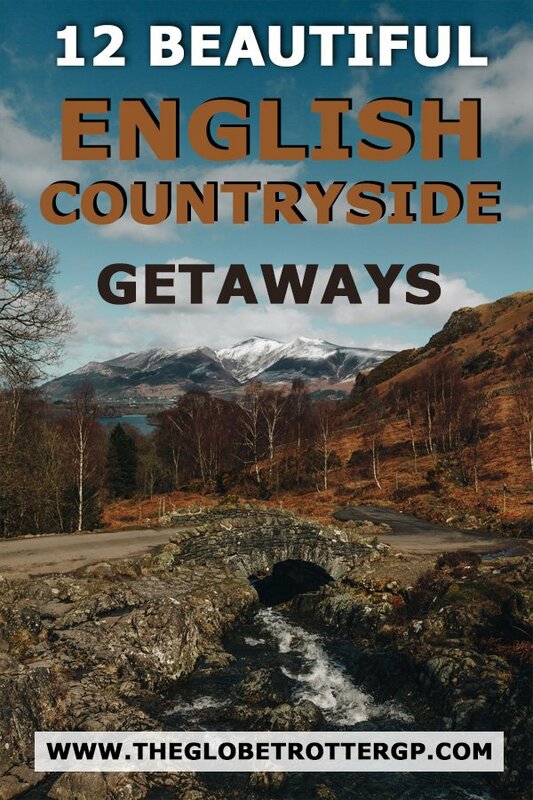 Hopefully, you’ve got plenty of inspiration now to plan and English rural weekend trip or two! Personally, I would love to spend more time in the Cotswolds! Tell me about your favourite place for an English weekend away in the comments below! And if you can share this article with your friends using the social share button sand pins below, I’ll be eternally grateful!